The French are not only very optimistic about the power unit for the 2019 F1 World Cup, but will also be launching a new test bench in February with a view to 2021. Optimism. This is the state of mind that floods the factory of Viry-Châtillon before starting in 20 days at the Circuit Barcelona Catalunya the preseason of the World Formula 1 2019. The 70th edition of the 'Big Circus' is marked in red on the sheet of Renault route. The French, after acquiring Lotus at the end of 2015 for a pound, want to reduce this year by half the current distance that separates them from the front of the grid, in its ultimate goal of winning the championship. An ambitious purpose that Daniel Ricciardo and Nico Hulkenberg will try to get to the controls of the RS19, a single-seater that will not only have a completely new chassis and aerodynamics, since it only inherits from its previous brother the power steering, but will be propelled by a power unit that has obtained this winter promising gains in the test bank. "We are very optimistic on the side of the engine, but the side of the engine is not like the side of the chassis, it never ends until it really closes the engine that will go to the first race It's very promising in terms of performance, but we still have to point out small details in terms of reliability and durability2 222222, what we are doing now in Viry. We are still working on engines that will start the year and, in the end, performance and reliability are a commitment. You can extract more performance from any engine, but it may not last as many races and as many sessions as you would like. So we have to see where we put the pattern in terms of performance versus reliability, but we are optimistic at the moment. I'm sure Honda, Mercedes and Ferrari are also making progress. In relative terms, we will see where they end, "says Marcin Budkowski in 'Crash.net'. A few facilities, in the department of Essonne, which have been modernized during the last months with a view to 2021. Some works that Laurent de Bailleul, chief of department of development of facilities, confirms in 'Autosport' that will end this January: "This test bench will be better and will allow us to develop more powerful engines based on the potential regulation of 2021. When we are on the track, we we realize that there are problems 'engine + chassis'. Here we will see these problems a few weeks before, in Viry-Châtillon, and therefore, we will have a higher level of preparation for the first test sessions, in which we are supposed to be able to shoot and do kilometers instead of finding problems. 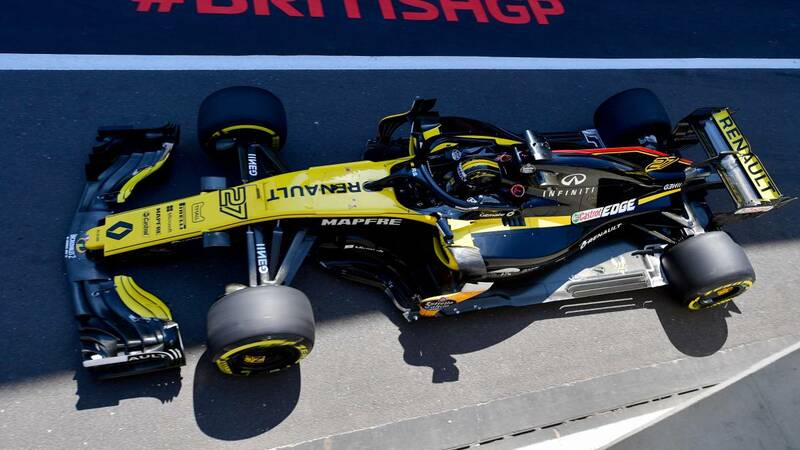 Sometimes they are very basic, but they can take time to solve the problem, track and deprive us of driving time during test sessions, whose number of hours are counted per day and whose number of days are counted per year. "